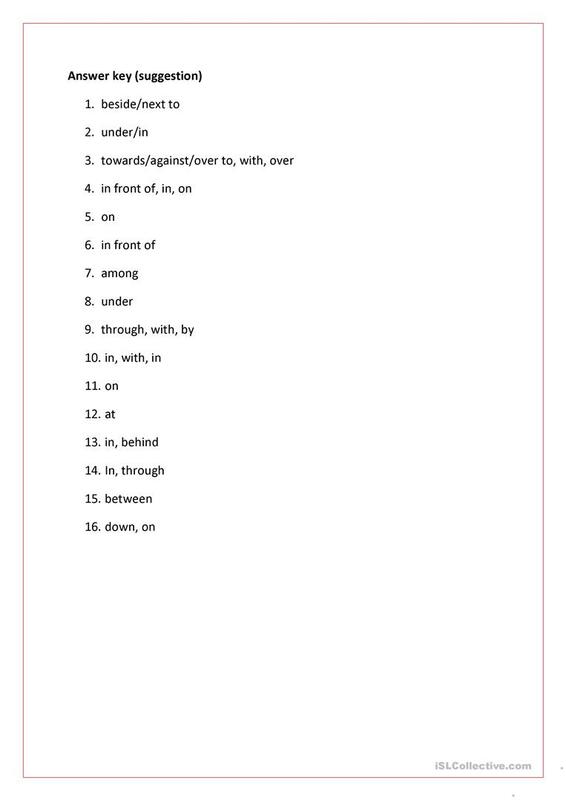 Fill in the correct prepositions (from the box of suggestions), and afterwards find the corresponding picture. Answer key (suggestion) on page 2. The present downloadable teaching material is recommended for high school students, elementary school students and adults at Beginner (pre-A1), Elementary (A1), Pre-intermediate (A2), Intermediate (B1) and Upper-intermediate (B2) level. 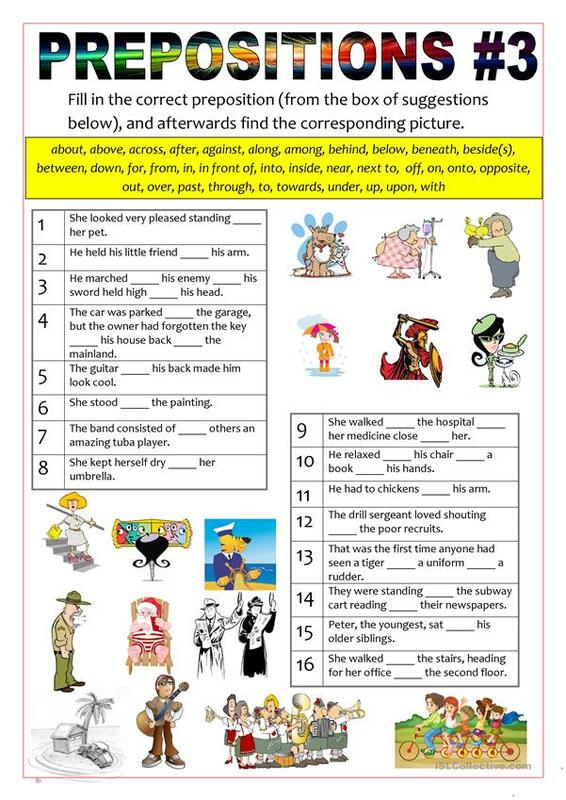 It is a useful material for practising Prepositions in English, and is excellent for developing your pupils' Listening, Speaking and Writing skills. The exercises come with the answer key. ksfredriksen is from/lives in Norway and has been a member of iSLCollective since 2012-05-23 09:12:57. ksfredriksen last logged in on 2019-04-19 22:22:41, and has shared 65 resources on iSLCollective so far.